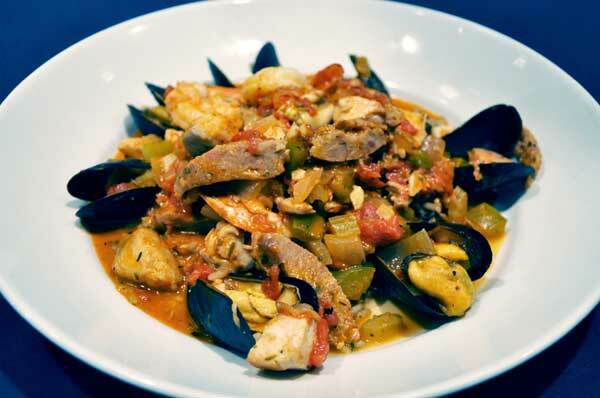 For those in the Annapolis MD area, there are many seafood restaurants with top cuisine to choose from. Whether you are looking for a seafood restaurant for the tasty and famous Maryland crabs on Maryland Ave or just a hole in the wall fish restaurant somewhere on State Circle, Annapolis has you covered. With so many good restaurants in this area, the choices may be overwhelming. In and around the Maryland Ave area, there are plenty of seafood restaurants and steakhouses to choose from in Annapolis. The Greystone Grill has a restaurant menu which is a combination of steak and seafood restaurants rolled into one. For starters, the patron may choose the sautéed sea scallops wrapped in a center-cut slab of bacon and served on a bed of baby spinach with a citrus sauce. For a seafood dinner, one may choose the chicken and crab, a choice dish of lump crab meat combined with a pan seared chicken breast in a cream sherry sauce. The Greystone Grill is considered a good restaurant by all standards so be prepared to dine in business casual attire and bring your wallet. Prices for entrees range from eighteen dollars for a vegetarian plate to over thirty dollars for other dishes. Regular diners around the Maryland Ave area will relay no better place for brew and crabs is the Galway Bay Irish Pub. Not only is Galway Bay considered one of the good restaurants, but it’s a great place to spend time after hours as well. Guinness rules the roost and many diners start with the Guinness Fried Oysters, which are considered the pride of Chesapeake Bay. For dinner, you can enjoy a wide range of fare from salads, seafood entrees and traditional Irish food. 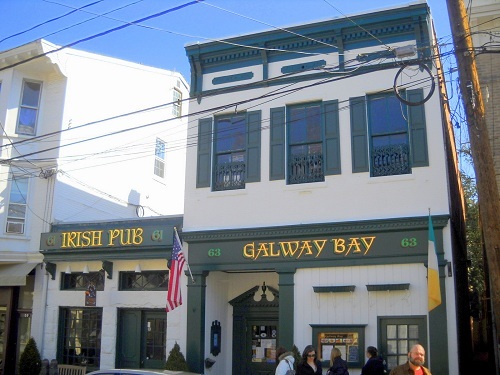 The Galway Bay Irish Pub is a little more casual than others found in a dining guide. Come as you are and enjoy one of the many foods on their extensive lunch and dinner restaurant menus where prices range from about ten dollars for appetizers to twenty dollars for entrees. Locals consider this place one of the best restaurants in Annapolis. Whether you are looking for a seafood restaurant or a place to hang out, give Galway Bay a visit. 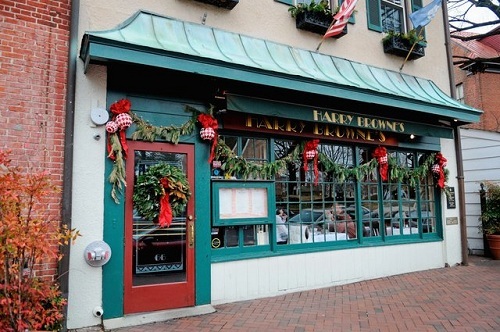 For a lighter side of Annapolis, you might want to visit Harry Browne’s on State Circle in Annapolis MD. Harry Browne’s is a casual atmosphere that is home to the happy hour five dollar burger. Considered by this dining guide as one of the best places to have a beer after work, Harry Browne’s offers its guests beer, wine, and a full liquor bar and restaurant menus for lunch and dinner. Harry Browne’s is also said to have one of the best soup menus in the city. One can enjoy a five-dollar burger during the hours of four and six o’clock or enjoy an entrée such as a seared filet of salmon over a fried rice cake. Although casual attire, Harry Browne’s is not just a fish restaurant so be prepared to pay upwards of thirty dollars for some entrees. Although a bit pricey, patrons hail Harry Browne’s as one of the better restaurants in Annapolis with top cuisine for every taste. Seafood restaurants in the State Circle and Annapolis area abound — although some are different than others. Many people visit one per week, and in a short amount of time have a go-to favorite they recommend above all others. We’re a little more general than that, so take your pick and have a good time.